Called “Mane’one’o” in Hawaiian, a school of Sailfin tang cruise a shallow coral reef during the day while looking for food. In the foreground a large parrot fish munches on some coral with it’s white, beak-like mouth. 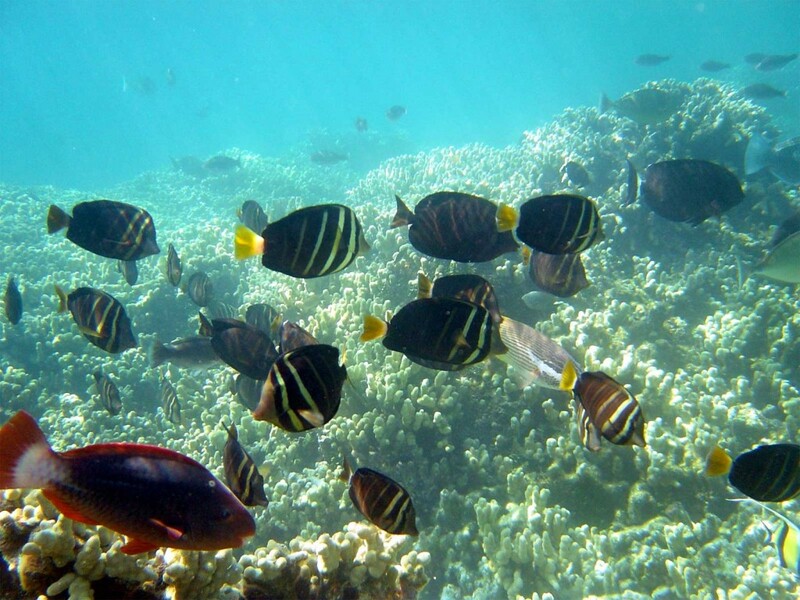 This is a typical scene in many parts of Hawaii where the reefs are still healthy. Several reefs are starting to show signs of distress and conservationists and the public alike are trying to figure out the best steps to protect reefs while still being able to enjoy them.